Matt focuses his practice on corporate, health law, and data privacy and security matters. In the data privacy and security realm, Matt focuses his practice on compliance and breach analysis and response matters under the Health Insurance Portability and Accountability Act of 1996, as amended (HIPAA), and its implementing regulations, the FTC Act (Health Breach Notification Rule), state data privacy and breach notification laws, and the European Union’s General Data Protection Regulation (GDPR). Matt assists with generating and reviewing compliance policies and procedures, negotiating business associate agreements (on behalf of covered entities, business associates and subcontractors) and data protection agreements (on behalf of controllers, processors and sub-processors), and advising with respect to complex compliance matters. Prior to joining the firm, Matt was a law clerk for a law firm in Southeastern Pennsylvania, where he drafted third party opinions for credit rating agencies. He served as a legal intern for the Pennsylvania Governor’s Office of General Counsel in the Department of Public Welfare where he handled matters involving licensing, employment disputes and elder law. 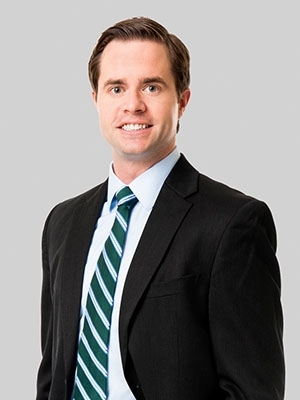 As an extern with a national law firm, Matt assisted in the drafting of employment agreements, preparation of Securities and Exchange Commission reports and in connection with sophisticated business law matters. While in law school, Matt was a research assistant to Professor Michael Moreland on issues relating to federal, state and local immigration laws. He was also the business and special projects editor for the university’s Environmental Law Journal and worked at the Civil Justice Clinic representing low-income individuals in litigation, negotiation and counseling. He also took part in the Homeless Advocacy Project of the university’s Pro Bono Society. GDPR compliance made simple. GDPR Check makes it easy for companies to gauge their compliance with the EU’s General Data Protection Regulation – a complex set of data privacy rules governing the personal data of all EU citizens. The questionnaire maps an organization’s data management practices and policies across 17 areas to help determine GDPR compliance. It’s now easier for businesses to understand GDPR law and avoid heavy noncompliance penalties. Managing risk and responding to data breaches are cumbersome processes. This app provides easy access to state and federal laws governing the privacy and security of personal and sensitive information. The app is currently available for free in the iTunes Store. To download it, click here. Matt is a contributor to the firm's HIPAA & Health Information Technology blog and Privacy Compliance & Data Security blog. These blogs keep readers apprised of current events within the respective fields, promote best practices within the relevant industries and offer suggestions with respect to compliance with data protection laws.